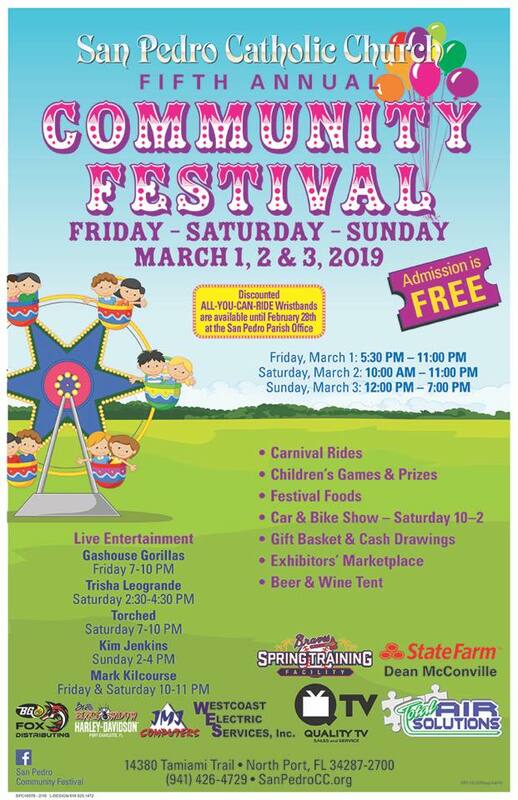 San Pedro Catholic Church will be holding their 5th annual Community Festival from Friday, March 1st through Sunday, March 3rd, located at the church grounds in North Port. 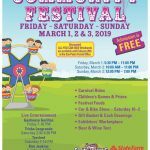 Admission to the festival is free and features carnival rides and games, daily live entertainment, delicious festival food, exhibitor’s marketplace, beer & wine tent, and a car & bike show on Saturday from 10am – 2pm. Discounted All-You-Can-Ride wristbands are available until Feb 28th at the San Pedro Parish office.